The next two songs are by two of the greatest – arguably the two greatest – American composers. One was primarily devoted to jazz and the other more to classical music, but what made them great was that both ignored that there was supposed to be a dividing line between those traditions. His was born Edward Kennedy Ellington, but even as a child he carried himself with such grace and dignity that he became known as Duke. Although the grandson of former slaves, Ellington was fortunate to grow up in a comfortable, middle-class household in Washington, D.C. He began piano lessons at age seven and soon discovered both a passion and a talent for music. In 1923, Ellington moved to New York and by 1924 he found himself leading what would, under his leadership, become the most celebrated band in the city. Ellington was a trailblazer as one of the first jazz musicians to gain prominent exposure among both white and black audiences. 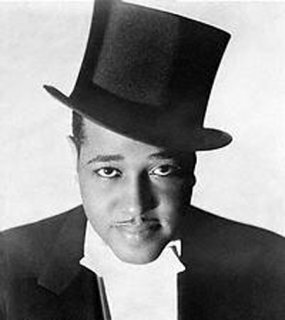 His orchestra served as the house band (in front of mostly white audiences) at Harlem’s legendary Cotton Club from 1927-1931, and he was featured on weekly, national radio broadcasts from the club. Of course, it was the music – and Ellington's talents both as composer and as bandleader – that made all of this possible. Ellington recorded prolifically, often issuing the same song on multiple record labels under different band names. He recorded “Black and Tan Fantasy” three different times in 1927 and all are fantastic, but it is the October 1927 version for Victor (with the alternate spelling of “Fantasie” in the title) that resonates the most. For those of you familiar with Ellington’s big band, war-era hits like “Take the ‘A’ Train,” this is going to be a bit of a surprise. At this stage, the band was making moody, edgy music – as groundbreaking as it was beautiful – that people dubbed “jungle style.” The pace is set by James “Bubber” Miley’s innovative work on muted trumpet. As the rhythm section hammers out an almost tribal rhythm, Miley sustains a beautiful held note, which mutates into a growling, singing solo that mimics a human voice. Miley returns at the end (right after a whinnying-horse trombone effect) with some more expressive trumpeting that leads into the final dramatic notes. 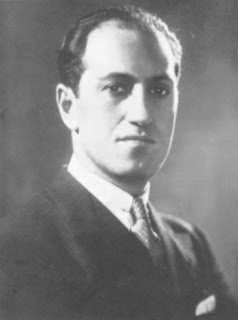 George Gershwin had already established himself as one of the great American popular songwriters when he turned his attention to classical music. “Rhapsody in Blue” was his first major classical work, and the first such work to prominently feature jazz themes and conventions. Although debatable whether or not it is strictly speaking jazz, it nevertheless brilliantly captures the spirit of the jazz age and has become an enduring classic. Gershwin published “Rhapsody in Blue” in 1924 and premiered it in New York backed by Paul Whiteman and His Orchestra. That 1924 debut performance was capture on record (Victor 55225), but it was recorded acoustically as electronic microphones had not yet been invented. Despite the poor sound quality, many people prefer it because of its raw energy (the tempo is quite a bit faster than what you may be used to) and historical significance. It is certainly worth hearing this version for those reasons (you can find it here: part 1 / part 2). However, Gershwin would make an electric recording in 1927 – again backed by the Paul Whiteman Orchestra (although this time conducted by guest bandleader Nat Shilkret) – and it is this 1927 version that has proven most influential. In the 1927 version, the tempo has decreased and the song is fully realized in the form modern audiences will recognize it in. The sound is clear and the playing is marvelous: disciplined and yet full of character. The record is a back-and-forth dialogue between Gershwin’s playful solo piano and the sweeping majesty of the full orchestra. Almost everyone will recognize the music, and yet it is so powerful that it entrances again and again. From the opening, swirling, laughing clarinet solo to the final, full-orchestra crescendo, it is a masterpiece.